SMIDGE OF THIS: Five On Friday - Snow Day! It's time for another edition of Five on Friday and I do hope you'll join along! Today is a SNOW DAY here in Charlotte -- Ian doesn't have to work and we are just enjoying some family time with a fire and classical music on in the background. Good stuff! Amazon Prime question for you tech-savvy ladies. I'm definitely making our annual membership cost worth it with the free 2-day shipping, and I also take advantage of the Subscribe and Save program. I've recently downloaded Prime Video on my iPad but haven't really put it to the test, and I've also heard there is unlimited photo storage on their cloud? If any of you are using your Prime membership to your max potential, please educate me about how to do the same. I'm all ears and would love to learn! I tried the month-long free trial before committing to Amazon Prime. If you'd like to do the same, for a free 30-day Amazon Prime trial ... just click here. 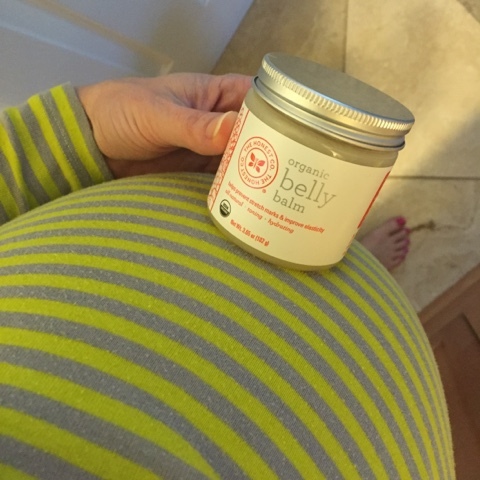 A little something different this pregnancy go-round that I just wanted to share ... this Honest Company organic belly balm is extremely yummy! I mean, not that I've eaten it or anything, but it feels yummy and smooth going on. I've used it daily on my stomach to help keep the skin healthy while it grows and stretches. You can find it at multiple retailers online, but this one has it with free shipping and returns. It's $16, so not as inexpensive as coconut oil, but it seems to absorb better for me and it goes on much smoother. 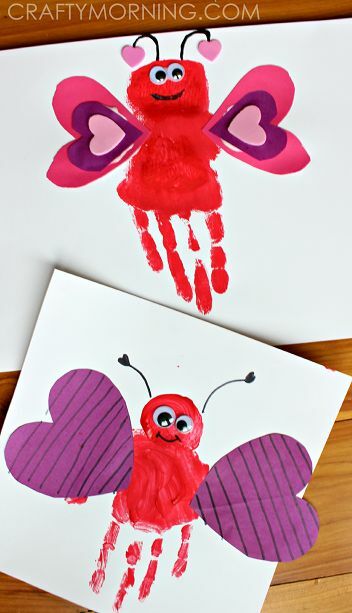 I was searching for cute Valentines Day arts and crafts for Camille to do and ran across this idea on Pinterest. I just have to pick up some googly eyes and we are all set to make our little love butterflies! The link I included doesn't have too many directions (although it looks prettttttty self-explanitory) but it does contain lots more craft ideas and is worth checking out. 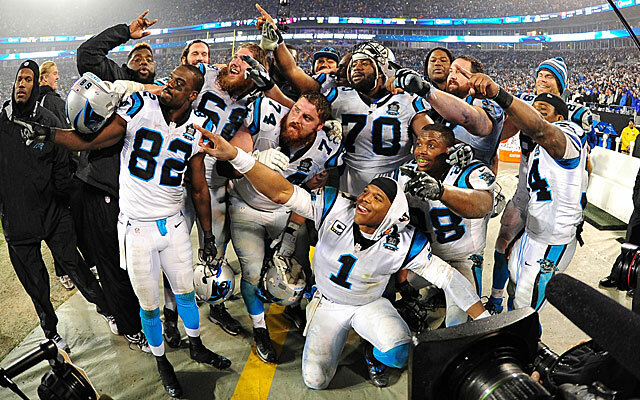 Never before have I been so excited about football, but our Panthers have been doing SO well this season, and Sunday night will let us know whether we will be watching them in the Super Bowl or not! The team is so fun and spirited, and the city has been electric. I'll definitely be rooting for the Cats this Sunday evening. How about you? All I have to say last is that after all of this gestational diabetes hooplah, my one request is for someone to bring this recipe to the hospital when I deliver our new baby. Mmmmkay? Mom, sis ... you think I'm kidding? Well, I'm not. Seriously. YAY snow day and PANTHERS! YES! Go PANTHERS!!! It's so exciting! I just hope all this ice/snow melts before Sunday! I love those valentines - your post reminded me to find a craft for Davis to make as well. :) Enjoy your snow day! Okay let's try this again. The original comment I posted automatically put some funky link in it. What I was saying, Panthers electricity here down in Waxhaw too. So exciting. We have ice this morning in our parts, hoping to not lose power. Thanks for hosting. Something a lot of people don't know about Amazon Prime is that if one of your Prime items arrives late, Amazon will extend your membership by one month. You have to ask for it, but any customer service rep is authorized to do it. I find the chat feature the easiest. I love our Amazon Prime subscription. Their video streaming service is great. We just finished the series The Man in the High Castle it is a dystopian reality of what the world would be like if the Axis powers would have won the war. PANTHERS! It's been SO amazing! We just started using Amazon Prime because I've heard being a new mama, the 2 day shipping is CRUCIAL! Happy Snow Day! I'll be following along for Prime Video tips. I'd love to start using it more. I'll be rooting for Peyton and the Broncos this weekend. And if I was closer, I'd bring the bacon...it looks divine! Happy Friday! Have a wonderful weekend! GO PANTHERS!! Cam was my QB in Fantasy this season so I am a huge fan!! :) Rooting for y'all to go all the way! I am so hoping for a Patriots/Panthers Superbowl!!! How fun would that be?!?! I need to use Amazon Prime for more than free shipping...we flip through some of their videos, but they're pretty limited. I would love to know more about photo storage, though!! Someone needs to do a tutorial on how to maximize your membership! Hooray for a much needed snow day in our house too! 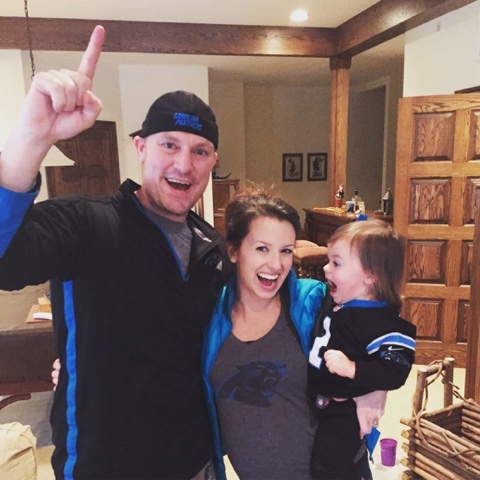 We'll be cheering on the Panthers as well. We LOVE LOVE LOVE our Amazon Prime. I seriously do not know what we would do without the free 2-day shipping. We also don't have cable and just watch Amazon Prime. It is awesome for all the kids programs. I don't know anything about their cloud storage, but we started using their music as well which has been working great! Totally random, but we use Subscribe & Save for our dog food, which we buy in bulk with 2 great danes. We save over $100/ month using it. I use S&S for diapers, wipes, laundry detergent, and dishwasher tablets as well! Couldn't recommend it more! I use Amazon Warehouse for the BEST deals on baby items like diapers and wipes. I usually get a box of diapers for 30% + off retail with free shipping just because the exterior of the box might not be in perfect condition. I have a serious love of Prime. We tried to cancel it recently, but only made it three weeks. We watch some of the Prime shows and I really enjoy having it. I haven't really used the subscribe and save, because I rarely need things as often as they send them. OH prime. We use prime video in place of netflix. it's not quite the same, but it totally works for us. Obviously I abuse the 2day shipping - but have you checked out PrimePantry? Omg. I love. Especially for like, paper goods and such. ahh, you are just the cutest!! Happy Friday!! Don't know if you know this (it took me a while to figure it out) but you can link more than one Amazon account to the Prime account for the same household. So you and Ian can both have the benefits of Prime on your accounts (for the cost of one account). This comes in especially handy for buying gifts for your significant other and keeping it a secret! I had no idea about the photo storage on prime! I love the amazon music app, and I need to check out more of their shows. OMG bacon crack! Enjoy your snow this weekend! I wish we were getting some! Amazon prime is amazing and so worth the money! People only really use if for the shipping and don't realise all the other awesome things it can do. I am one of those people that needs my moneys worth so I always use everything things have to offer. Download the app to your phone and it automatically syncs all your photos into your cloud, it is unlimited storage too which is nice. I had dreamed about pizza when I had GD. When it was time to start pushing (9pm) I had Joe order 2 large pizzas to have waiting when Charlie arrived. 11:24pm I was asking for that pizza. Tasted good but honestly the best thing was the apple juice with breakfast the next morning. We watch Man in the High Castle on Amazon Prime and it is SO AMAZING. A good show for the men and women of the fam. omg what is going on with that bacon!? need. love your little belly!! Thank you all for the information on Prime. I had no idea there were other benefits I wasn't using. And GO PANTHERS! I would love to see a post with all the Amazon Prime tips! Like you, I do subscribe and save, but I know there's more that I'm missing. I used the Honest Company Belly Balm as well -- Looooved it! Happy Diwali 2016 Greetings have a wonderful and special words that makes heart happy. Celebrate Diwali through Happy Diwali 2016 Greetings Wishes to welcome your nearest and dearest one. i love to watch latest match on my galaxy phone with the help of mobdro. new year wallpaper for family merry christmas wishes new year 2017 hd wallpaper merry christmas 2016 pics christmas special jingle bell new year funny pictures This event is also celebrated by all the peoples in the world, many countries have involved in this celebration. Mother’s Day is celebrated for our family most special person our mother. Mother is a god gift for all people in the world. Every son/daughter is celebrated Mother’s Day for their mother; they express their feelings, love, and joy with their mom. Mother’s Day is celebrated in all over the world on different days; mothers day messages it means Mothers Day Date is not same in all over the world. In most countries, Mother’s Day is celebrated second Sunday of month May. Mother’s Day was first celebrated in 1908 when Anna Jarvis held a memorial for her mother at St Andrew’s Methodist Church in Grafton, West Virginia. St Andrew’s Methodist Church now holds the International Mother’s Day Shrine. This is a good post. This post gives truly quality information. I’m definitely going to look into it. Really very useful tips are provided here. Thank you so much. Keep up the good works..! 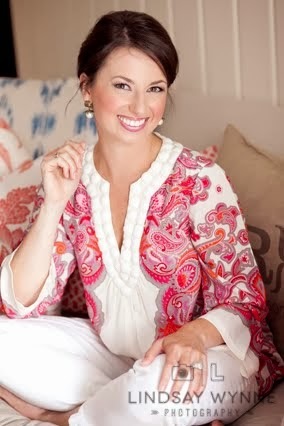 hello,I believe there are many more pleasurable opportunities ahead for individuals that looked at your site. thank you for sharing topic! Apple iOS 11 update is going to available after the public launch of iOS 11 and beta development end. We are expecting it happen in the second week of September. Awkwafina and Laverne Cox will announce the nominees in five film and eight television categories. On the other hand, your inner teacher also has to patiently help you through these potentially best bcaa supplements awkward transition periods and regularly remind you: "I can do this!" A person with good health has many good and affordable options to choose from.You can get the best for you by getting keto slim 7 reviews the best information about your plan from an online marketplace. It is to be kept in mind that this is possible to decline coverage based on pre-existing conditions until.